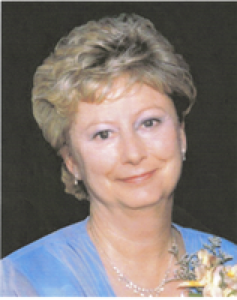 Jean Crane Allen, 55, 1140 Stephens Road, Sidney, Ohio died at her residence on Saturday, July 22, 2006 at 11:05 AM after a lengthy illness. She was born July 5, 1951 in Decatur, Illinois the daughter of Joseph and Eileen (Kayhs) Crane and they survive in Decatur, Illinois. She moved to Sidney, Ohio in 1987 from Hollywood, Florida. She was married to Neil F. Allen on October 5, 1974 and he survives along with two daughters, Kimberley Allen Breitwieser and husband AJ living in Edmond, Oklahoma and Brianne Crane Allen living at home in Sidney, Ohio; one sister, Jacque Crane Mannakee living in Sidney, Ohio. She received her diploma from Decatur Memorial Hospital School of Nursing in 1971 and was a registered nurse at Upper Valley Memorial Hospital in Troy, Ohio. She was a member of St. James Episcopal Church, Piqua, Ohio. Memorial services will be held on Saturday, July 29, 2006 at 1:30 PM at the St. James Episcopal Church, 200 West High Street, Piqua, Ohio 45356 with Rev. Rob Baldwin and Rev. Ruth Paulus. There are no calling hours or burial as the body was cremated. Memorial contributions may be made to the St. James Episcopal Church Building Fund, 200 West High Street, Piqua, Ohio 45356.